Join us at our favorite show of the season - the MCAS Beaufort Airshow! Come Join us at the NAF El Centro Airshow! 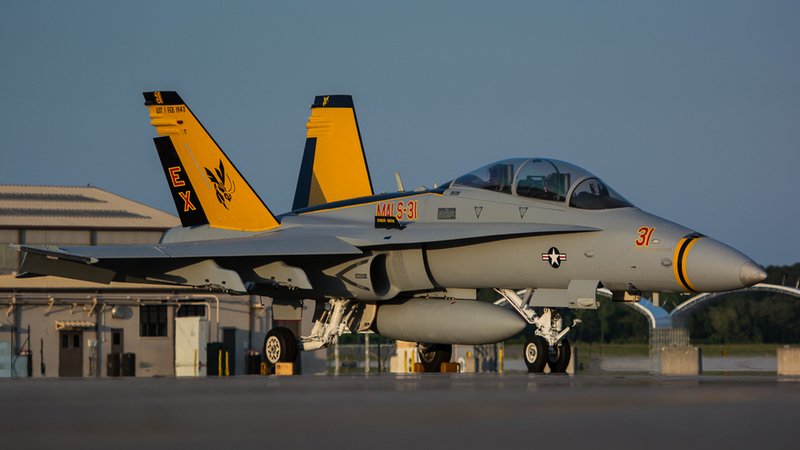 Join us for the 2018 MCAS Cherry Point Airshow! We will be attending the Night airshow on Friday, along with the main airshow on Saturday and Sunday. Chalet will be available on Saturday. Sunday Chalet will possibly be available based on interest. Join us for a workshop at the NAF El Centro Airshow! We'll be getting together on Friday night to shoot the static aircraft at night - along with the fireworks! On Saturday, we will have a chalet at the airshow to make shooting more comfortable and social! Come join us in Raleigh, NC, for an aviation photography workshop featuring the warbirds of the Commemorative Air Force! Both ground workshops and air-to-air workshops are available. Come join us for two days of photographing the 2017 airshow at MCAS Beaufort, in the comfort of a VIP chalet! Come join us for a photography workshop featuring the collection of Stallion 51 in Kissimmee, FL! Come join us for an air-to-air photography workshop in Phoeniz, Arizona! We will be working with the team of Falcon Warbirds to give you an amazing opportunity to capture the unique aircraft from their collection airborne over the Arizona landscape. Come join us for a photography workshop at the Atlanta Warbird Weekend! NEW this year is our air-to-air photography workshop! Come fly with 3G Aviation Media and capture images of the stunning warbirds in flight. Click here to Sign up. We also have our standard ground workshop for $199, that includes an exclusive sunset and twilight shoot with the warbirds at the Atlanta Warbird Weekend. Click here to Sign up. Once you're done shooting, join us on Sunday morning for an editing workshop as well. Get the most out of the images you've shot by working in a small group setting with Doug and Tony to improve your photo editing skills. Seats in the editing workshop are $99 each. Click here to Sign up. Come Join us for our Photography workshop at the Stallion 51 flight facility on 5 March. We will be working with their TF-51 and L-39 aircraft, shooting a variety of setups, including sunset and night photography. Come out and join us for the 2015 MCAS Beaufort airshow on Saturday, 11 April! Come join us for our photography workshop at the CAF Dixie Wing in Peachtree City, GA.
Head out to the Great Georgia Air Show at Falcon Field in Peachtree City, Georgia! We'll be there talking about photography and walking the flightline! The mini-workshop will kick off with several brief classes to equip participants with the knowledge to safely navigate the flightline and how to focus on aircraft details in a crowded environment such as the Warbird Weekend. After a photography session encompassing all of the aircraft staged for static display, attendees will break for a late afternoon snack and a quick class on the evening’s shoot. Once equipment is prepared, and the lighting is best, the workshop will move back outside to an exclusive small group shoot with “Sentimental Journey” and other vintage warbirds. As the sunset illuminates the aircraft, the 3G instructors will be on hand to answer questions and offer photographic assistance to the attendees. The shoot will continue after the sun sets as attendees can experiment with a variety of lighting types provided by the 3G team, all in the interest of improving photographic technique. Come join us for our photography workshop at the Mid-Atlantic Air Museum in Reading, PA.